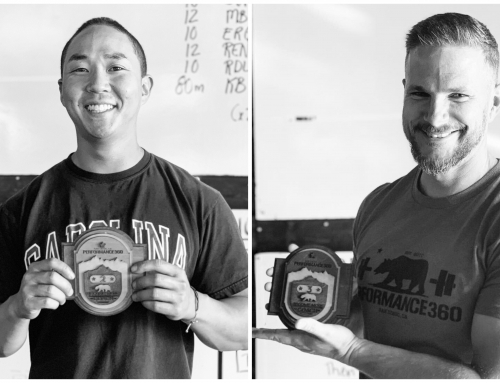 It’s no secret we take enormous pride in both our instruction and outcome of member pull-ups at P360. 63 women have walked in unable to do a pull-up and ended up writing their name on that completion board. 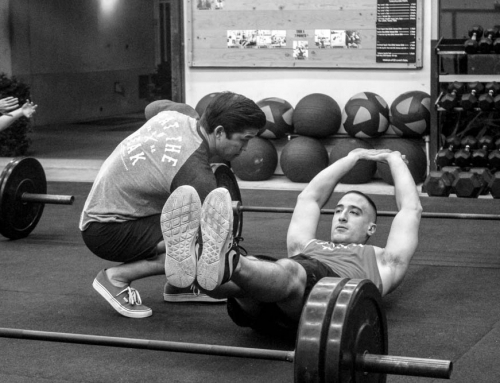 It’s not by luck, but by precise work and attention to detail in the correct muscles and movement cues. As a dinosaur, we are among the last remaining gyms to do them strict and develop that upper body strength, power and recruitment of the lats that only the strict pull-up can provide. As such, it’s like preparing a five course meal. It takes some time, but the worth is far more gratifying than any other form of pull-up on the market. We’ve also addressed why strong lats are critical for weight lifting success, and it’s not any more complicated than this. Pull-ups target and develop your lats exceptionally well and being able to do many of them is an expression of strength over your body weight. First, most everyone can likely improve their pull-up max by slightly improving the mechanics of their reps. Here is a quick list of kinetic cues when starting and finishing your reps. Hang onto the bar without any bands, full extension in your elbows but keep your shoulders packed and your chin neutral, gaze straight ahead. Now, don’t perform a pull-up. But rather, start the movement of a pull-up simply by tightening/activating your lats. It’s going to feel like you are drawing your armpits towards the floor. This is the feeling of how to start a pull-up, with your back muscles. When you perform a pull-up simply by rowing your body to the bar, you use your biceps and forearms which are very small muscles. Small muscles fatigue at a more rapid rate so your total count is greatly diminished before it has a chance to take off. Your arms should be finishing off what your back starts. Imagine pulling the bar “down” to your chest, don’t pull yourself “up”. 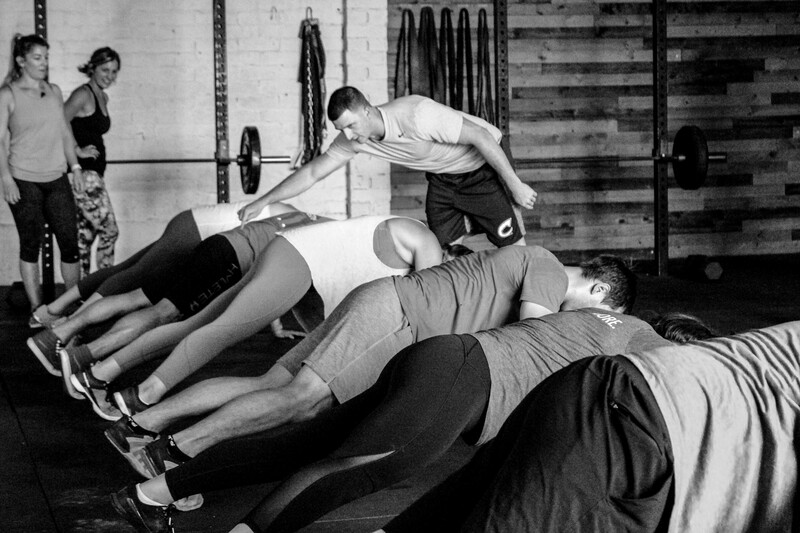 This is similar to driving your feet through the floor on a deadlift, it’s a psychological device to shift perspective of a movement that promotes muscle recruitment. Keep your eyes on the horizon, straight ahead. Looking up is the common mistake here. This essentially turns your pull-up more into a row. Your hips always follow your neck. You know how we are always telling you not to look up on pushups because your hips will sag? Same thing here, only your body is vertical and not horizontal. If you look up, as you ascend your hips will shift forward causing you to recruit more bicep and less lats and kinetically it “turns off” a lot of muscle activation. As with anything “looking up”, it creates cervical hyperextension which can lead to a host of bad strains or injuries. Never do this. Ever. On anything. “Tuck” elbows behind you. As if your back were 6 inches away from a wall, press your elbows passed your frame and touch that wall with your elbows to maximize lat activation to finish each rep.
A quick note on grip. If you wish to strengthen your grip in general, perform your pull-ups with your thumbs around the bar. Always. However, this may lead to fewer reps so if you are going for a max total, you may be better with a thumbless grip. It takes some trial and error to see what works best for you. Here are some cues and movements that will have you increasing your pull-up total in no time. Progressive band use: If you can do 8 pull ups with a purple band try 3 on the black band. Make use of all the bands during a class, don’t stick with the same one “just because” throughout a set. Just like with weights, work within that 90% of 1rm range. For example, a 300lb deadlift is likely going to happen if you can triple 275, so If you can do 3 pull ups on a skinny red band, congrats, your first BW pull-up awaits. Pauses: Pause at the top for a good one count. Most pull ups are missed at the top end range. What will help here and is easy to incorporate with bands is pulling yourself as high as possible, and holding that static contraction. In essence, this is “beyond the range” training, like a deficit deadlift. Develop that finishing power to help “pull” you through those top end sticking points. 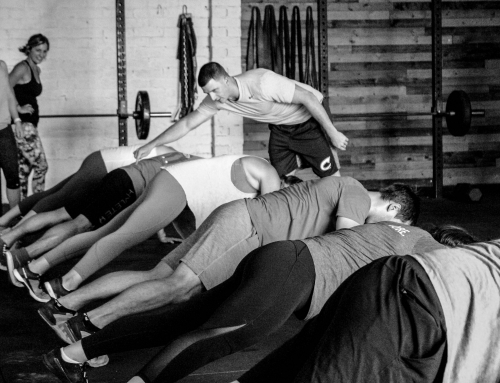 As the band contracts it assists you less and less, so that top end hold is entirely on you, this will really help develop that strength, the band will get you up but won’t keep you there. Additionally, add pauses at the bottom if you are advanced to ensure you create every rep with the lat tension we discussed in the set-up above. Weighted low rep sets: These will carry over to a higher volume set as well. These are only for folks who can do some unassisted pull ups obviously. Strength always wins, if you can do 3 strict weighted pull ups (24kg kettlebell), then 10 strict bw pull ups should be no problem. If the class format allows, use some weight and keep technique strict and work on those weighted doubles and singles instead of blasting through a set of five that may not be very challenging. Add Bands: As athletes, too often we think we have graduated from something to be done with it forever (ahem, DB snatches). How do you go from 25 – 30 pull-ups? It’s likely not going to happen with weighted pull-ups. Your body needs to know what going through that high amount of volume feels like. The reality is that bands do not provide much assistance at all to finish the rep, so hop on a purple or black band and do as many as humanly possible every set. Shooting for a number that you have never done before. 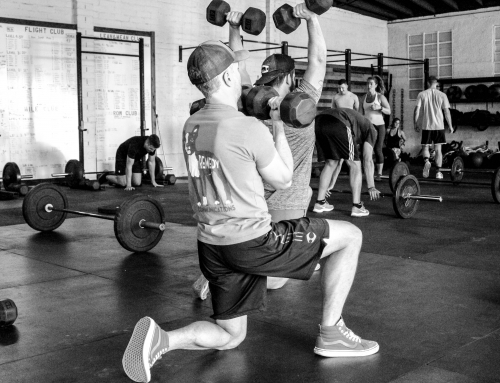 Light Turkish Get-Ups for Reps. Your lats will be pedal to the medal for up to 90 seconds at a time if you perform five reps at 40%. The exact type of endurance needed to rep strict pull-ups. High velocity med ball slams at 10 – 20#. Load in med ball slams is not something I ever apply focus. Focus on speed and reaching absolute peak extension in the overhead position. From there, slam the ball as if your aim is to make it explode. Remember, lats are responsible for pulling your arms towards your body so when MB slams are done properly this way, the focus is almost exclusively on your lats. Want an easy way for your pull-ups to go up? Lighter, faster MB slams. Farmer’s Holds and Walks. Stay upright and focus on the crushing an apple/squeezing a sponge between your armpits. 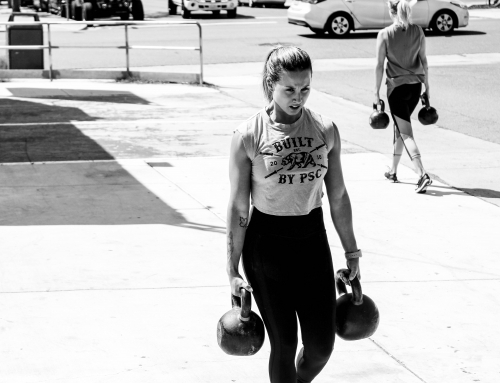 Aggressive Eccentrics on the Kettlebell Swing. Drive the bell back between your legs, don’t simply let it return to position. 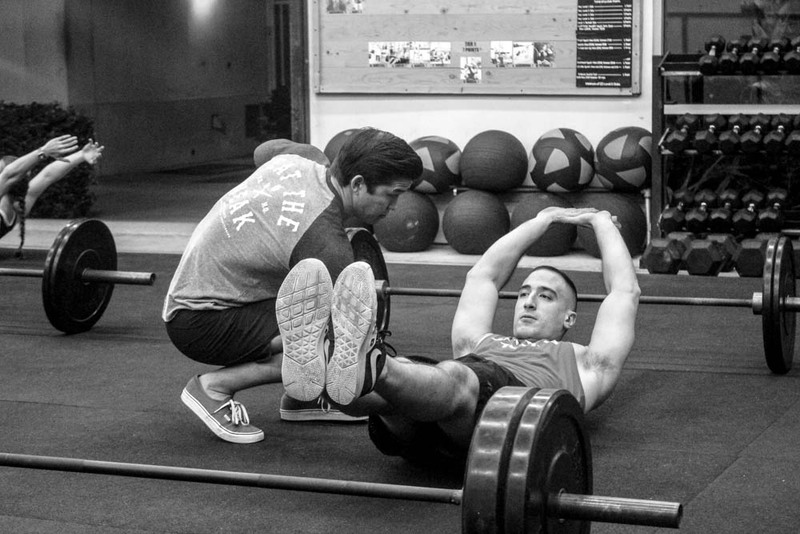 Send it there with authority by stopping and reversing the the bell back down with your lats. Three position points of the overhead swing and lat activation. 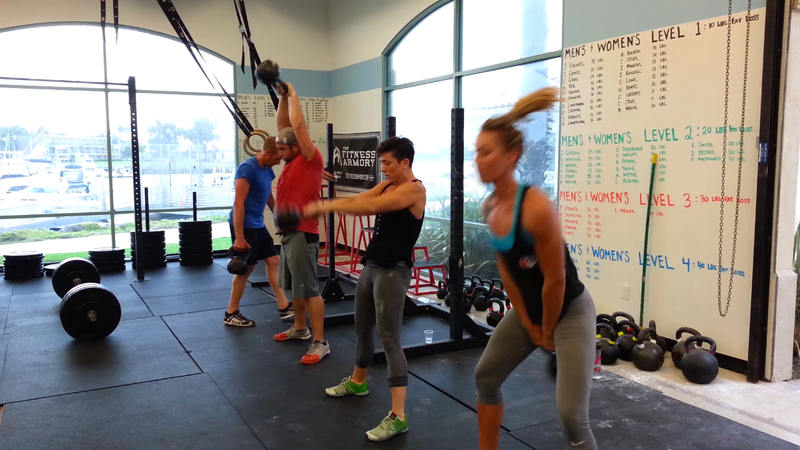 Overhead Kettlebell Swings. These are an excellent developer of the lats as they are heavily involved in different capacities at all three position points. For Home or Open Gym. Unilateral lifts promote a high percentage increase of working-side lat activation. This increase in individual activation will “sync” up and carry over to your bilateral movements. 1-Arm Hangs: Grab the bar, pull your shoulders into their sockets (aka pack your shoulders) and release one hand. You can hold for time with or without a weight in your off hand to increase the difficulty. Just be smart and progress slowly, with the time and additional weight. 1-Arm Swings: These tremendously target lat activation when the bell is hiked aggressively back, and abruptly stopped at shoulder height on the upswing. You don’t need a heavy bell either, just swing hard with optimal technique. Side press: The side press is a unique style of pressing that recruits the lat more so than any other style of pressing. This will develop strength in your lats in uncharted ranges of motion to eliminate deficiencies that could be leaking power. It works best with a kettlebell and is best to keep the weight light to moderate to target the lats appropriately. Otherwise it will turn into a bent press and that is far too advanced for folks trying to do pull ups. These appear in Robby’s P360 Kettlebell class. Sprints. Yes, sprints. Running sprints. 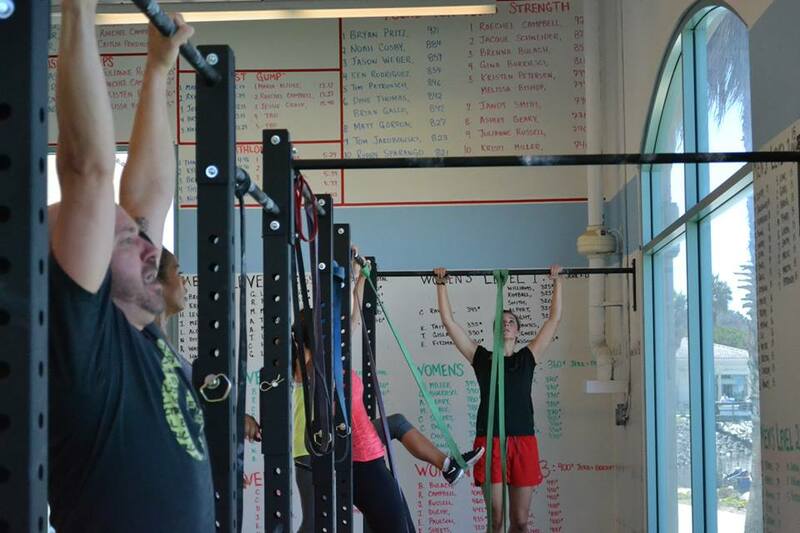 Many strength coaches use chin-ups as an indicator on whether or not an athlete is getting faster. Why? Because lats help contribute to synergistic power between the opposite arm and the opposite him since that’s the muscle group in which the power travels(2). This is known as the serape effect, which is a “rotational trunk movement that involves ballistic motions…It stretches these muscles to their greatest length in order to create a snap-back effect. When this tension is released from these muscles they shorten for the completion of the movement, and a greater velocity is applied than had the muscles performed from a normal resting length. (3)” While predominant in track and field throws, it also works in sprinting as one muscle contracts the upper body counter lengthens. Sprints are a great way to increase transfer of force in the lats for other movements. 100m Rowing Sprints @ 100% using just your upper body. Rowing at 100% is not something you can maintain for anything longer than a few hundred meters at a time. Especially if you all but remove your legs. And for the sake of lat development we want power, not endurance. Row for 100m at a time, sets of 15 – 20 with very little rest. 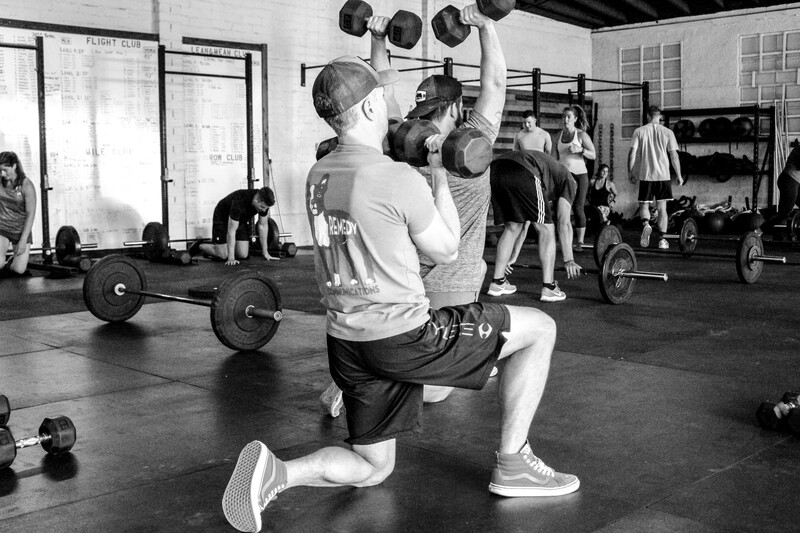 Think 30 seconds between sets. 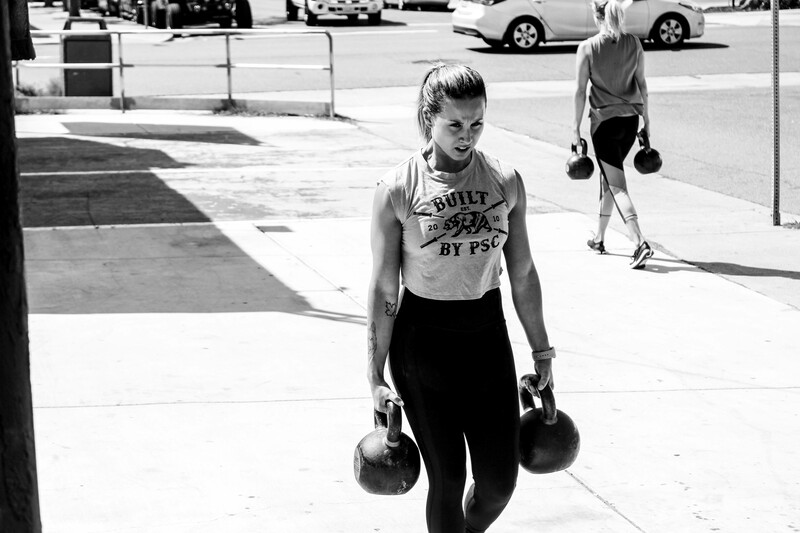 Use less of your legs and more of your upper body’s pulling power. Note: This is a drill to target lats, not rowing technique. Don’t do this unless you are a highly proficient rower less you develop some pretty nasty habits. We hope this helps. This list is long. Pick a few you can manage for a month at at time, focus up and watch your max reps increase. 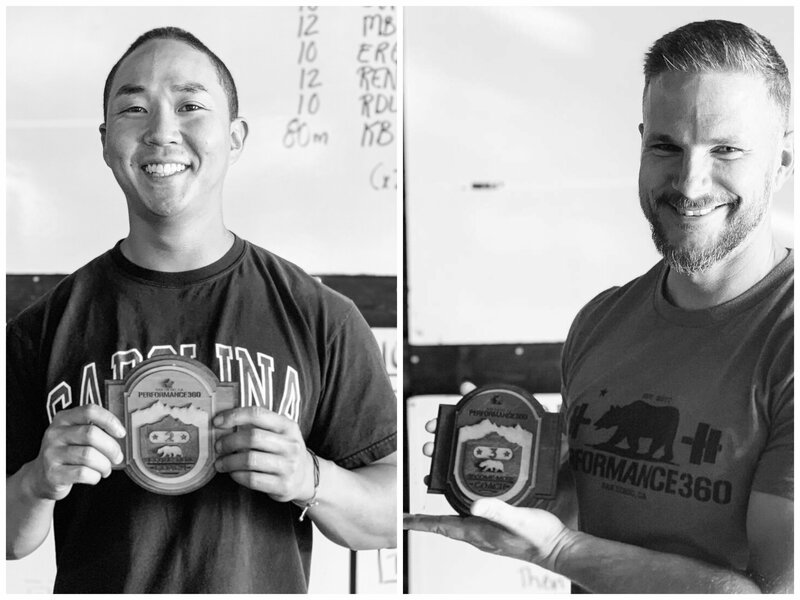 Dave Thomas and Robby Sparango are coaches at Performance360 and fine purveyors of the strict pull-up.